Now that I have gotten in to attempting recipes, I’ve been trying to find things that I would like to cook. I really prefer to make desserts, but I also want to get better at cooking main dishes. I really enjoy cooking with the crockpot because it is so easy to put a bunch of ingredients in a pot and walk away. I got this recipe from My Daily Dish. I figured that I like chicken and I like beer so it HAS to be good! I put all the ingredients in first and then added the whole chicken. 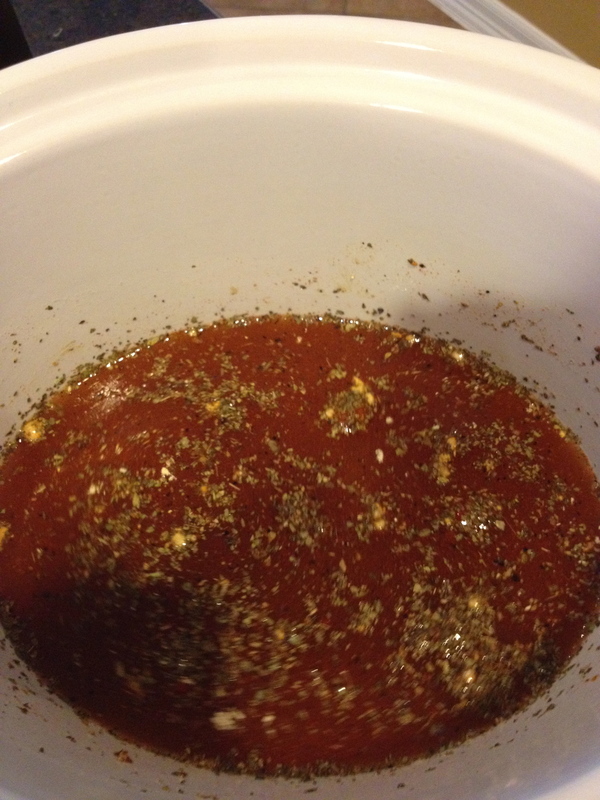 Cook in the crockpot on high for 3 – 4 hours or on low for 7 – 8 hours. I cooked it on high. The recipe said you could also cook a frozen chicken, you just have to cook it longer. 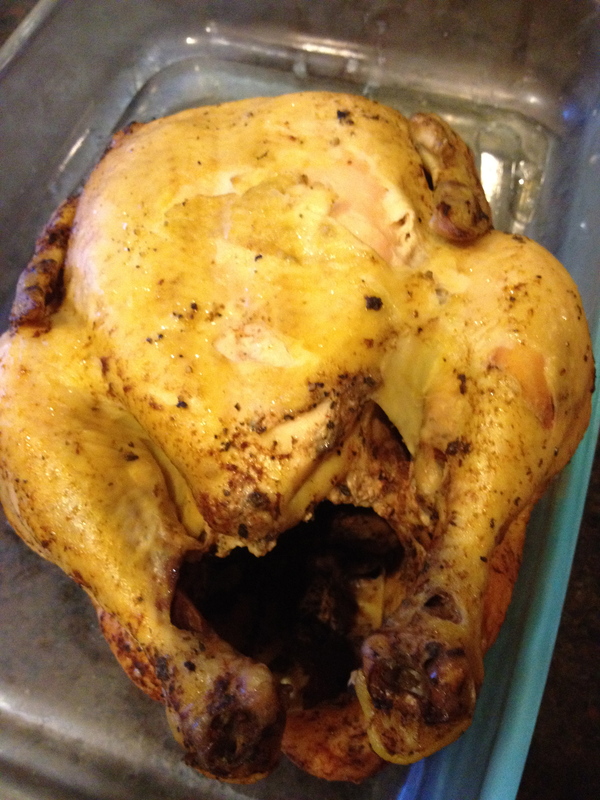 Shouldn’t that chicken look more golden brown and less yellow??? I didn’t take a picture of the chicken until the next day. So it was cold at this point. It tasted really good though! It was really good! Definitely worth a try! Thanks, I’ll have to try making it. All i have on hand is smoked paprika so my hopes are still very high for this. My husband is going to love this. Thanks! Let me know! That sounds great! How did it not dry out? 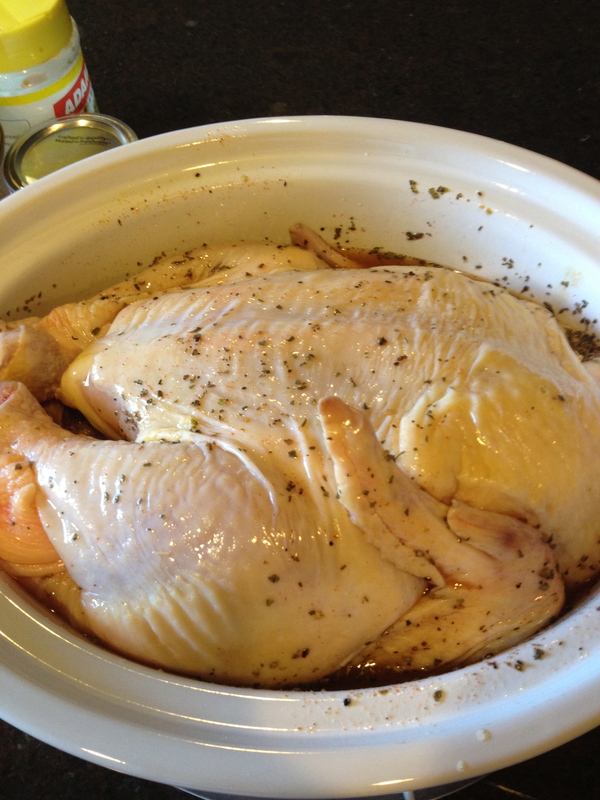 Chicken is such a lean meat to cook in crockpot. Cooking chicken in the crock pot actually cooks it better keeping the juices in the same place instead of drying out like you get with baking. The mean is so tender it literally falls off the bone! is there any sauce left? I love crispy skin does it has it? I’m cooking one t the present time. I used Montreal Chicken seasoning inside and out, so we’ll see how it turns out. I put 4 foil balls in the juices and placed the chicken on top. I also put olive oil on the skin and sprinkled it with herbes de provence, Yumm!